MyHeritage announced in August of 2017 that it had acquired Millennia Corporation, makers of Legacy Family Tree. The Legacy Team will join the MyHeritage team and work together. 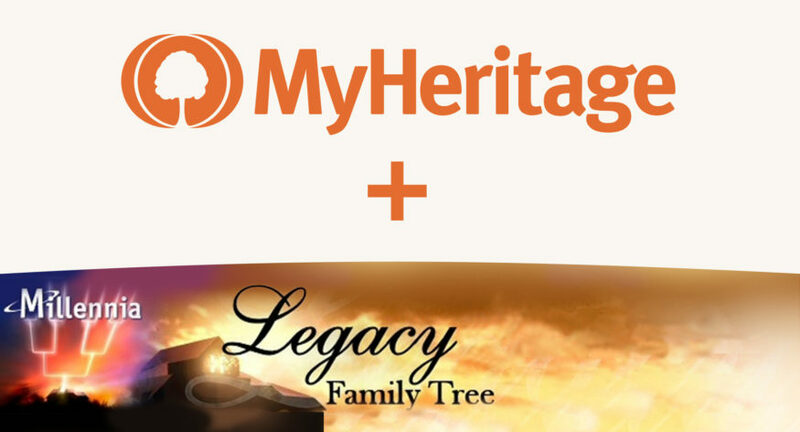 MyHeritage has acquired not only the Legacy Family Tree genealogy software, but also the well-attended genealogy webinar platform, Legacy Family Tree Webinars. This marks the 9th acquisition made by MyHeritage. The acquisition will introduce MyHeritage users to Legacy’s valuable genealogical webinars, and will also provide Legacy’s hundreds of thousands of users with improved resources and access to new services. Legacy’s webinars have been around since 2010. They have become the most popular source of education in the genealogy industry. Viewers enjoy talks accompanied by presentations and tutorials on a wide variety of genealogy content from the comfort of their own homes. Topics have included genealogical research methodology, DNA, historical records, and more. MyHeritage says the webinars will continue to feature diverse and high-quality educational content. The webinar platform will get some infrastructure upgrades in order to support larger audiences. MyHeritage will release a new version of Legacy Family Tree software, Legacy Family Tree 10, together with the Legacy Team. Version 10 will include the optional ability to sync family trees to the MyHeritage website and allow users to make updates to their family trees on the Legacy software using the MyHeritage mobile app. MyHeritage welcomes Legacy’s users, who will now be able to take advantage of MyHeritage’s world-class website features for online family trees, research their family history through historical records, and utilize MyHeritage DNA tests for genealogy and ethnicity.